He guessed he’d have to look for a new home now anyway; either that or go to sleep in the cold. His stiff limbs shifted as he stood, scattering the remains of his soaked place of residence over the sodden concrete floor of the ten-foot. There were others; maybe a dozen in similar little cardboard havens. But no one bothered to look his way – they were busy trying to stay warm too. The trip to the skip was short. The ten-foot backed onto a junk yard filled with the other man’s treasures. The owners had no apparent desire to keep people out, judging from the small, easily traversed metal fence that declared its borders. Dark shapes busied themselves rooting through the piles, one or two glancing up to glare and growl him away from the spot they had staked. He kept a safe distance. Trouble didn’t need its help to find him. After maybe half an hour of shifting through various bits and pieces, in the gradually growing wet, he found it. He was surprised. It was very sturdy, made of some high end material. It would keep out the wet and cold for a good little while. A blow to the back knocked him over into the filth and away from his find. Taken unawares, he curled up into a ball and waited for the large dark figure to stop hitting him and move on. When he opened his eyes – particularly difficult since one had started to swell – his assailant was gone. Alongside the home he had found. It was difficult to get up, so he crawled through the mud and into the nearest abandoned alleyway. No point going back to the ten-foot. Someone would have taken his spot by now and he didn’t want any trouble. With a shuddering sigh, he flopped out onto the hard ground, his hand stretched out, gathering more water as it fell. A tingling sensation in his palm made him look up. His vision was a little blurry as the rain trickled in, but he could see something glowing in his hand. Blinking in confusion, he used his other hand to wipe his eyes and had another look, convinced he was seeing things, but no, he wasn’t! There, flickering and weak in the palm of his hand, was a tiny flame. Slowly bunching himself up into a sitting position, he cradled the flame to his chest, holding a hand over it in case the rain extinguished it. He gazed in amazement for what felt like an eternity, a smile stretching across his filth-encrusted features. 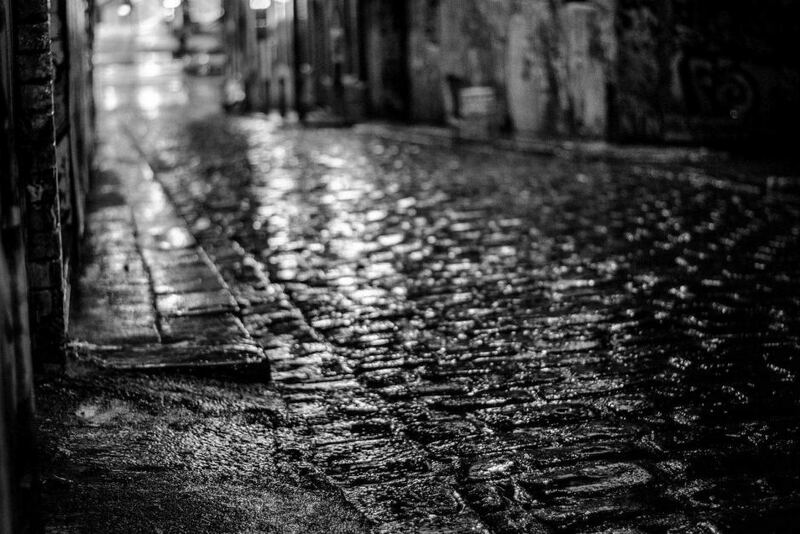 It felt as if the universe had died and had been reborn right here in this dirty alley. The cold fled from his body. The pain cowered away. He got to his feet and stood straight, letting the tiny flame grow until it engulfed his hand, then his arm, then his whole body. He could see the people on the street, the normal people in their fancy clothes and umbrellas, running for shelter and knew that he would not be like them anymore. He would weather this storm. Striding out into the street, he knew there was nowhere he couldn’t go. He would stand tall and smile in the places that even angels would fear to tread. Another excellent submission for our monthly half-hour challenge contributed by veteran challenger Blue-Eyed Devil. He has recently had the honour of winning our ‘Fiction Frenzy’ competition with ‘The Princess and the Dragon’, a delightful entry posted just a few days ago.